Nowadays it seems that you can’t switch on the news channel or read the daily paper without finding a report of yet another house burglary or crime. As a result you may be considering installing a home video security system, or indeed wondering whether it is necessary. 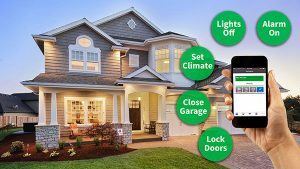 When it comes to the crux of the matter, keeping your family and home safe is your number one concern Today’s home security systems have come a long way and do far more than protect from intruders. So let’s take a look at 10 reasons why you really should have a video home security system for your home. The number one reason to install a home security system is to protect your family and prevent burglars breaking in, causing damage to your property and making off with your valuables. In 2017 home burglaries reached an all time high in Perth alone, with an average of one house being robbed every 16 minutes – pretty alarming don’t you think! It’s easy to think that a burglary will never happen to you, but with these type of statistics providing evidence, chances are that at some point your home could be the next target. To prevent this from happening, the best course of action is to install a home security system. While the majority of people probably consider a home security sytem to be just about preventing burglaries, you may be surprised to learn that they can also help protect your home from fire – a must have addition to any home security camera system. A home security system can quickly recognise the fact there is smoke in your home and identify the source of the heat, also notifying the relevant authorities. Heat detectors can be added to your home security system whereby they can determine if there is a fire building in one particular area of your home as well as provide advance notice of the slightest of changes in heat levels – both of which can prevent further damage from fire. Were you aware that a home security system can also monitor your home’s electricity usage? How many times have you left your home and then realised that you’ve either left an appliance running or left a light on in a room. Remote access allows you to switch of lights and appliances wherever you are. It can also be used to turn heating/cooling systems off and turn them on again before you arrive back home. It goes without saying that if you own a property you need to have home insurance, and this in part also relates to the reason that you need a home security system. Insurance costs vary depending on coverage, location, payment options, insurance company, type of property and other factors. A homeowner’s insurance policy is designed to cover any losses or damage resulting from all manner of devastating events. Although you may not pay that much attention to the cost if this is your first time of purchasing home insurance, it’s worth noting that the majority of insurance companies offer a discount if you already have a home security system installed. Another important element of a home security system is its ability to protect you from ‘potential risks’. One of these risks is carbon monoxide – a gas which is both colourless and odourless. It’s released from stoves, heating systems, and burning wood and since people can’t see the gas in the air, it can build up unnoticed over time and cause poisoning. In severe cases this can be fatal. Home security systems can be equipped with a carbon monoxide detector too. This alerts homeowners if it detects high levels of the deadly gas in the home, allowing you to safely evacuate the building right away and seek medical help, before it’s too late. We’ll be taking a look at the other 5 reasons to invest in a home security system in our next blog of this week, so see you there …….